The characters, plots and themes are very graphic, perverse at times, shockingly so. But the writing is so good, that you find yourself flitting through the stories effortlessly, accepting one outrageous thing after another. You’re eager to turn the page to find out what grotesquely captivating character the author will dream up next. Tina Connolly‘s story “Old Dead Futures” is part of Tor.com’s 5th birthday celebration. Alexander Lumans will be reading at Bucknell University with Ross Gay on Tuesday, February 18, 2014. Joyce Carol Oates‘ poem “Too Young to Marry but Not Too Young to Die” appears in The New Yorker; she also tweeted ten writing tips recently. Peg Duthie has work in the very cool conceptual anthology Overplay/Underdone. Simon Kewin has guest posts at Winged Reviews, M. Pax and Musings of a Penniless Writer about his Engn, a YA fantasy novel. Deborah P. Kolodji‘s poem “Basho After Cinderella” is at Rattle. Stella Pierides has reprinted her haiku that appeared in the June Presence. Alexander Lumans graduated from the MFA Fiction Program at Southern Illinois University Carbondale. His fiction has been published in or is forthcoming from Story Quarterly, Black Warrior Review, Cincinnati Review, Blackbird, Surreal South 2011, and The Book of Villains. He was a Tennessee Williams Scholar at the 2010 Sewanee Writers’ Conference and he won the 2011 Barry Hannah Fiction Prize from the Yalobusha Review. Recently, he was awarded a MacDowell Colony Fellowship for Fall 2011. 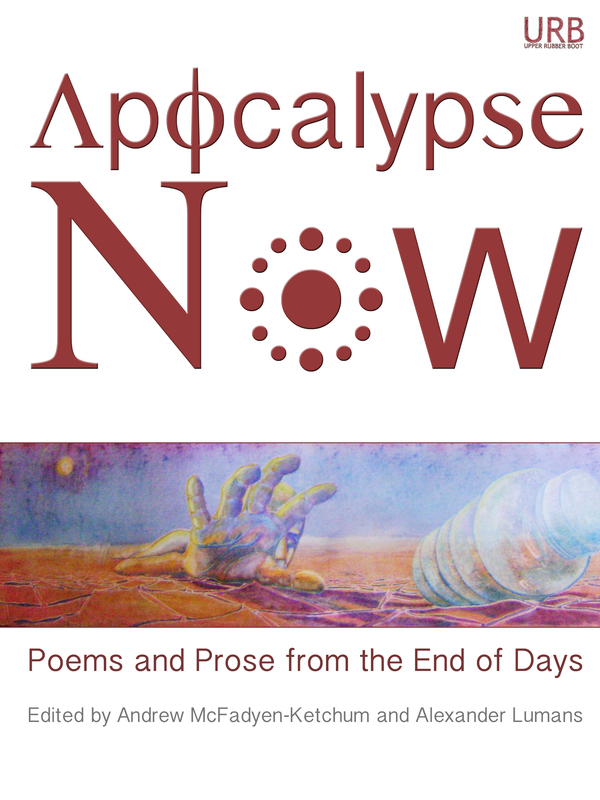 Lumans is Fiction Editor of Apocalypse Now: Poems and Prose from the End of Days. ISBN 978-1-937794-23-1 (epub) for iPad, Nook, etc. from the Apple iStore (AR, AT, AU, BE, BG, BO, BR, CA, CH, CL, CO, CR, CY, CZ, DE, DK, DO, EC, EE, ES, FI, FR, GR, GT, HN, HU, IE, IT, JP, LT, LU, LV, MT, MX, NI, NL, NO, NZ, PA, PE, PL, PT, PY, RO, SE, SI, SK, SV, UK, USA, YV); Barnes & Noble; Kobo. ISBN 978-1-937794-21-7 (mobi) for Kindle from Amazon (BR, CA, DE, ES, FR, IN, IT, JP, UK, USA). ISBN 978-1-937794-22-4 (pdf) from Smashwords. Andrew McFadyen-Ketchum is the author of Ghost Gear (University of Arkansas Press, 2014, Finalist for 2014 Foreword Reviews‘ INDIEFAB Book of the Year Award, Finalist for the Colorado Book Award), series editor of the Floodgate Poetry Series: Three Chapbooks by Three Poets in a Single Volume (Upper Rubber Boot Books, annually starting in 2014), founder and Editor-in-Chief of PoemoftheWeek.org, and editor of Warning! Poems May Be Longer Than They Appear: An Anthology of LongISH Poems (forthcoming) and Apocalypse Now: Poems and Prose from the End of Days (Upper Rubber Boot Books, 2012). His poems, reviews, interviews, and podcasts have appeared in journals such as The Writer’s Chronicle, The Southern Poetry Anthology, Glimmer Train, American Literary Review, The Spoon River Poetry Review, The Missouri Review, storySouth, Blackbird, InsideHigherEd.com, and Hayden’s Ferry Review, among others. Andrew holds a Masters of Fine Arts Degree from Southern Illinois University – Carbondale, is Acquisitions Editor for Upper Rubber Boot Books, and is a contributing-editor for The Southern Indiana Review. He is also an award-winning freelance editor, writing coach, and instructor of Creative Writing and English at the University of Colorado Boulder. McFadyen-Ketchum is Series Editor for the Floodgate Poetry Series. 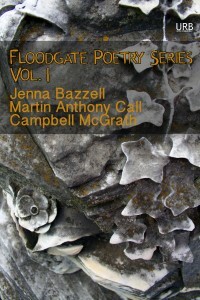 Floodgate Poetry Series Vol. 3, containing a poetry chapbook by Enid Shomer, another chapbook co-written by Cave Canem fellows F. Douglas Brown and Geffrey Davis, and a third chapbook co-written by brothers Anders and Kai Carlson-Wi, will be released in November 2016. 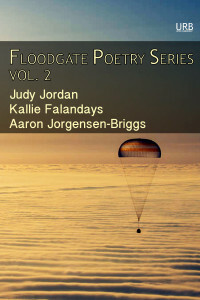 Floodgate Poetry Series Vol. 2, containing poetry by Kallie Falandays, Aaron Jorgensen-Briggs, and Judy Jordan, was released on 17 November 2015. 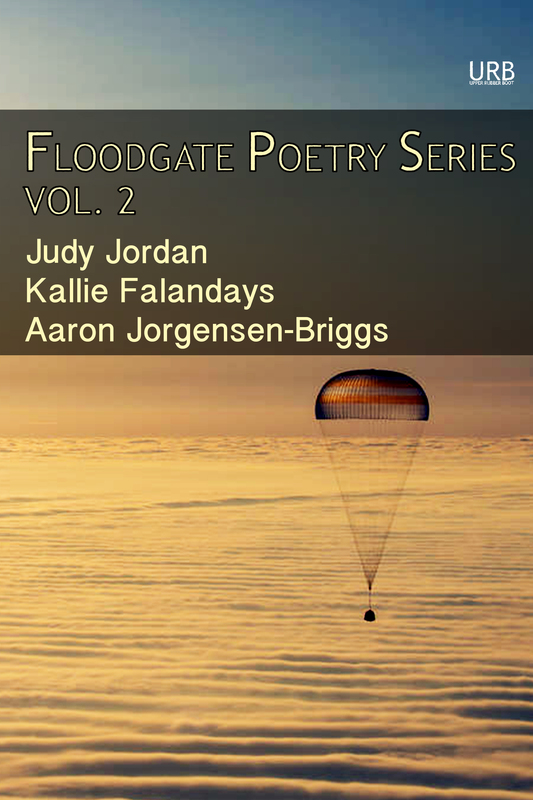 Floodgate Poetry Series Vol. 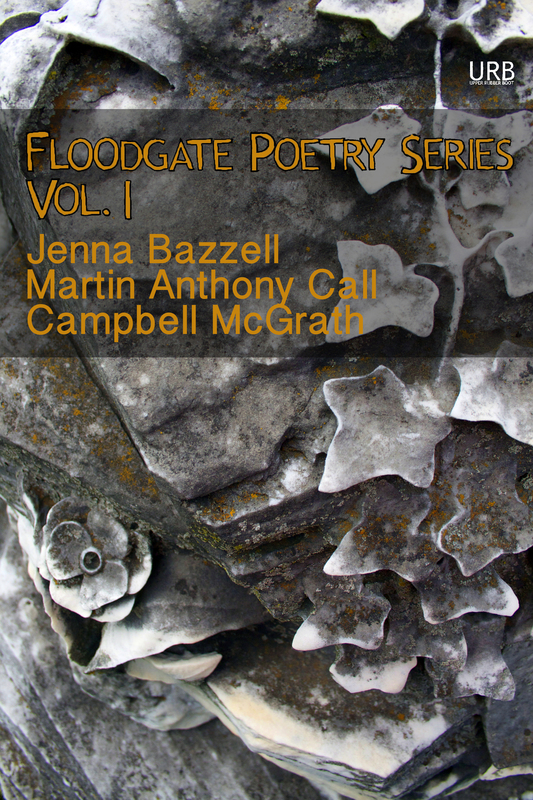 1, containing poetry by Jenna Bazzell, Martin Anthony Call and Campbell McGrath, was released on 17 November 2014. McFadyen-Ketchum was Editor and Poetry Editor of Apocalypse Now: Poems and Prose from the End of Days, which was released 21 December 2012. How will the end come? What will we do when all the lights go out? 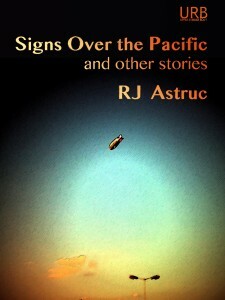 ISBN 978-1-937794-23-1 (epub) for iPad, Nook, etc. from the Apple iStore (AR, AT, AU, BE, BG, BO, BR, CA, CH, CL, CO, CR, CY, CZ, DE, DK, DO, EC, EE, ES, FI, FR, GR, GT, HN, HU, IE, IT, JP, LT, LU, LV, MT, MX, NI, NL, NO, NZ, PA, PE, PL, PT, PY, RO, SE, SI, SK, SV, UK, USA, YV) ; Barnes & Noble (USA); Chapters Indigo (Canada); Kobo (USA); Novel Depot (USA); and Weightless (worldwide; US currency). ISBN 978-1-937794-21-7 (mobi) for Kindle from Amazon (BR, CA, DE, ES, FR, IN, IT, JP, UK, USA) and at Weightless (worldwide; US currency). ISBN 978-1-937794-22-4 (pdf) from Smashwords and Weightless (worldwide; US currency). Winner of the Nashville Scene‘s Best Literary Anthology 2013. Every society and every generation has its version of the apocalypse: swine flu, genetic mutation, global warming, nuclear fallout, the second coming, peak oil, mass extinction, giant irradiated ants, zombies… Apocalypse Now: Poems and Prose from the End of Days is the first anthology of its kind to bring together the poetry and prose of some of America’s finest (though not always most well-known) literary voices with an eye for the literary and the popular, for story and lyric, for the past and the future, for the psychological and the physical, for the real and the fantastic. Missy, the single mother of Margaret Atwood‘s “The Silver Astroturfer,” spends her days in her basement of computers churning out copy under various aliases (“ExCodFisherman” or “LeglessVeteran” or “LadyDuckHunter”) in order to manipulate the daily news. Davis McCombs poems tell the story of a dying tobacco industry in the South and of the killing of the last gray wolf in Edmonson County, Kentucky. Rodney Jones‘s “Apocalyptic Narrative” opens in a post-apocalyptic United States in which our hero survives via c-rations and government cheese in an abandoned cave. Joyce Carol Oates‘s “Thanksgiving” depicts a father and daughter who venture out to buy food for their Thanksgiving dinner because the mother is ill. This seemingly ordinary trip, however, becomes decidedly unordinary when our assumptions about their world quickly crumble. Judy Jordan‘s poems examine humankind’s slow destruction of the earth while Paolo Bacigalupi‘s story, “The People of Sand and Slag,” looks at how we would live post-global warming via three explorers who utilize the environment itself to remake their decaying bodies. Chet Weise‘s poems tell of the sorely under-reported floods that overwhelmed Nashville, Tennessee in May 2010 in which the Cumberland River rose twelve feet above flood stage and twenty-one people were killed. Pinckney Benedict‘s “The Beginnings of Sorrow” is a deeply disturbing take on metamorphoses as well as apocalypses both large and small, centering on a rural couple with a dog possessed by his master’s deceased and lust-sick father. Authors include Margaret Atwood, Paolo Bacigalupi, Brian Barker, Jenna Bazzell, Nicky Beer, Pinckney Benedict, Kristin Bock, Tina Connolly, David J. Daniels, Darcie Dennigan, Brian Evenson, Seth Fried, TR Hummer, Rodney Jones, Judy Jordan, Kelly Link, Alexander Lumans, Charles Martin, Davis McCombs, Andrew McFadyen-Ketchum, Marc McKee, Tessa Mellas, Wayne Miller, Simone Muench, Keith Montesano, Joyce Carol Oates, Ed Pavlić, Catherine Pierce, Kevin Prufer, Joshua Robbins, David Roderick, Jeffrey Schultz, Maggie Smith, Chet Weise, Josh Woods, and E. Lily Yu. Cover art by Jason Clark. 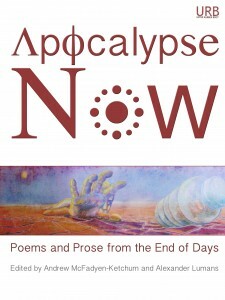 Apocalypse Now: Poems and Prose from the End of Days is edited by Andrew McFadyen-Ketchum, and fiction was selected by Alexander Lumans. Andrew McFadyen-Ketchum‘s poems, essays, reviews, podcasts, and interviews recently appear or are forthcoming in The Writers Chronicle, The Southern Poetry Anthology, Volume VI: Tennessee, The Spoon River Poetry Review, Poet Lore, The Missouri Review, storySouth, InsideHigherEd.com, Eclipse, Copper Nickel, New Letters, Glimmer Train, Hayden’s Ferry Review, Potomac Review, and The Southern Indiana Review, among others. He writes a web-column, poetry=am^k, as a Contributing Editor for The Southern Indiana Review, and he is Founder and Editor of PoemoftheWeek.org, Managing Editor of AdHominem.weebly.com and Acquisitions Editor of Upper Rubber Boot Books. Andrew holds a Masters of Fine Arts Degree from Southern Illinois University – Carbondale and is an Adjunct Professor of Creative Writing and English at the University of Colorado – Denver, Metro State College of Denver, Community College of Denver, and CCCOnline. He currently lives in Denver, Colorado. The first short story The Adjudicator, by Brian Evenson is stark and bleak in a post-apocalyptic, terrifyingly realistic world with just enough strangeness to keep you wondering. I can’t wait to read more of this book. —Diane Severson, “Various and Sundry Science Fiction Poetry,” Amazing Stories, 22 February 2013. In the midst of this hyperbolic fun, Apocalypse Now is a startlingly serious contribution. Six sections encompass 98 stories and poems, which are fairly evenly across the breadth of the book in tone and topic. Lured in by the promise of big names like Joyce Carol Oates, Margaret Atwood and Paolo Bacigalupi, I fell in love with the sheer variety in this book. Covering more than traditional apocalypse scenarios, it’s a collection of absolute endings. A story about anarchistic bees sits alongside a poem which describes a woman committing quiet suicide. David J. Daniels nervously relates the ripple-effect of his own mugging in This is the Pink before his spotlight is stolen by a group of cheese miners who are stranded on the moon. Kelly Link’s surreal, neo-traditional folktale about feuding witches follows a description of God as a lion on the hunt. I wasn’t sure what to expect of the poetry, but the standard was generally high. Different writers aimed for different things – it was surprising how many plumbed for humour, in the face of all that could be. —Sarah Dunn, “Apocalypse Now: Revisiting the Daydream,” Nelson Mail, 8 February 2013. Apocalypse Now: Poems and Prose from the End of Days is a treasure-chest of cataclysms. Lumans and McFadyen-Ketchum have ranged far across the landscape of contemporary English-language literature searching for glimpses of upheaval and ruin, and in doing so they have produced something unique: a survey of the present-day apocalyptic imagination in both poetry and fiction. If, like me, you’ve read much of the one and little of the other, you’re bound to make some compelling new discoveries here, and if you’ve read little of either, you’re in for one beautiful harrowing surprise after another. Warning: reading Apocalypse Now may result in side effects like chewed fingernails, heart palpitations, and paranoia so severe that you stockpile dried goods, fill the bathtub with water, hammer plywood over the windows, and oil your rifle. Never before has humanity’s twilight shined so brightly. The poems and stories within Apocalypse Now glitter with a clarity and luster typically reserved for only the purest of gems or the most cutting of insights. The voices here have each taken their own, singular approach to a theme that is as ancient as humanity itself and, in doing so, created a unified theory of the apocalypse: a coming together of our fears, our hopes, our willingness to discover ourselves at the moment we have lost it all, the moment when we stand on the cusp of annihilation and, somehow, cannot look away… but can only sing. And this collection sings like no other. Who will take the madness from the trees?